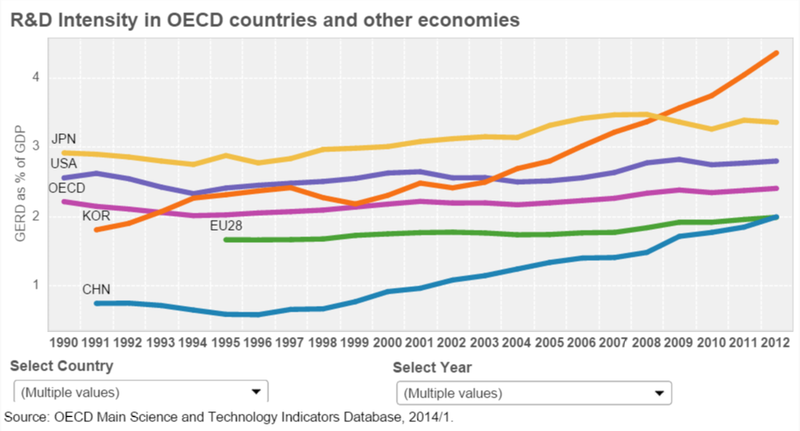 Open innovation a turning point for R&D collaboration? In retrospect, as detailed in a report by Business Korea, many plans by large global IT firms to establish R&D centers in Korea turned out to be empty promises. The article noted that "According to industry sources on Nov. 13, most foreign firms have failed to fulfill their promises to set up R&D centers and make investments in the country. Even if R&D centers were created, they did not play a significant role, ultimately leading to shutdowns after only a few years. Or, they have been merely used as a place to test products." The article went on to note that Huawei's recent announcement of its plan to set up an R&D center in the nation has raised suspicions once again. 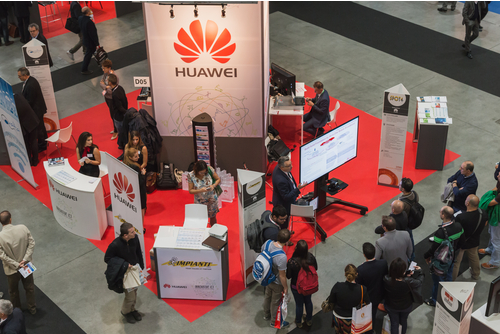 "Industry analysts are saying that Huawei's announcement can be interpreted as a conciliatory gesture to the Korean government to target the local market, following its recent entry. In the end, the announcement turned out to be merely a possibility that the Chinese Android device maker will consider building an R&D center with the Korean government's support." The digital network revolution along with the rise of big data, citizen science and more mobile, ubiquitous networks seems to be pushing government, corporate and public institutions toward more open sharing of data and research aimed at innovation! It will be difficult, if not impossible to turn back this tide. This morning I showed the accompanying map from the Information Geographies collection at the Oxford Internet Institute to students in two of my undergraduate classes at SUNY Korea in Songdo. 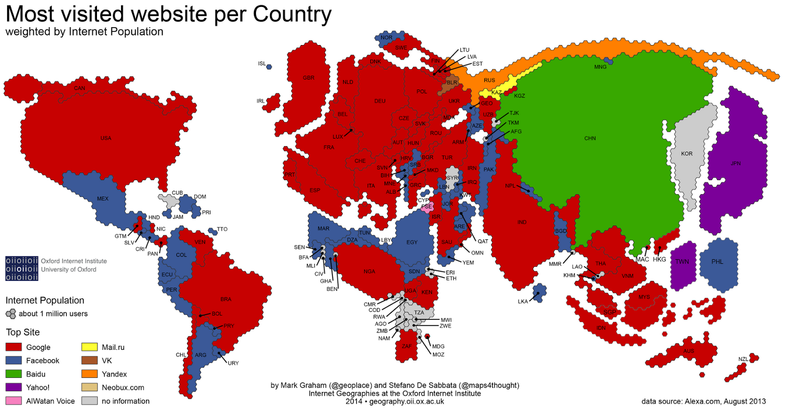 (click to see a full size version of the graphic) I'm a great fan of the various graphics being produced by the Oxford Internet Institute, and indeed the problem with this map lies in part with its data source (Alexa) rather than the Oxford researchers. I'm referring, of course, to the grey shading for Korea, which indicates "no information" and which also covers the whole Korean peninsula, merging North with South Korea. The first part of the problem, that of "no information" about Korea may be because the Oxford team did not trust the 2013 Alexa data. I just checked Alexa and found that Google.com is listed as the top site in Korea, followed by Naver.com. However, these Alexa data are highly questionable and should not be used for South Korea. 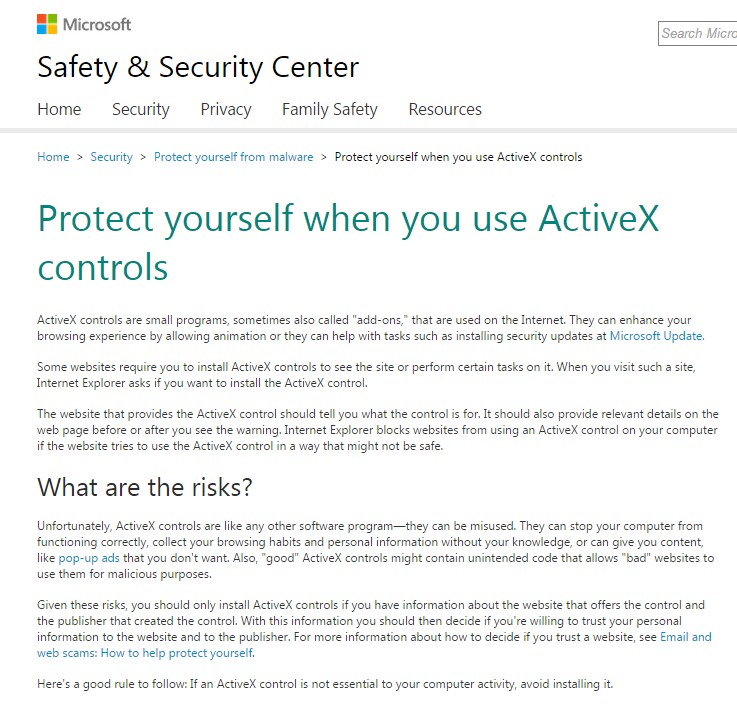 Alexa's data are gathered from a panel of users that install an English language toolbar in Microsoft's Internet Explorer. Although IE is widely used here, the fact that the Alexa toolbar is only available in English, immediately makes it almost useless in Korea, where the vast majority of users prefer web browsing in Korean. For a good critique of Alexa versus other companies that provide web statistics, see this article, "Web statistics for internet market research: pick a number, any number". In fact, Naver.com is the most widely used web site in South Korea, with about 31 million unique visitors or almost 95% of internet users (reach) during the most recent measurement period by Nielsen Korea. It was followed by daum.net with an 82% reach and google.com ranked eight with about 12 million unique visitors and a reach of 37%. 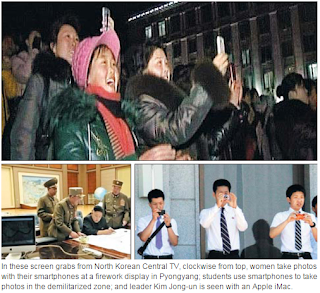 As to the second part of the problem, that of shading the entire Korean peninsula grey, it obscures the digital divide between North and South Korea, the most dramatic and poignant such divide in the entire world and a tragic vestige of the Cold War era. 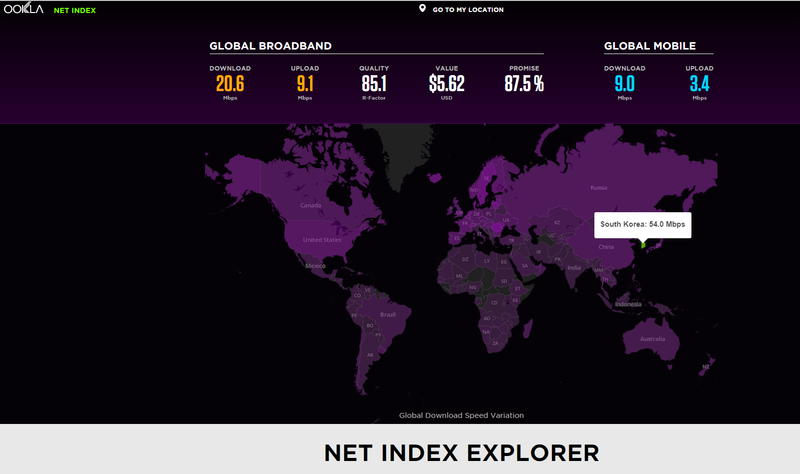 South Korea has the highest rate of internet penetration in the world, while North Korea ranks near the bottom among all nations of the world. 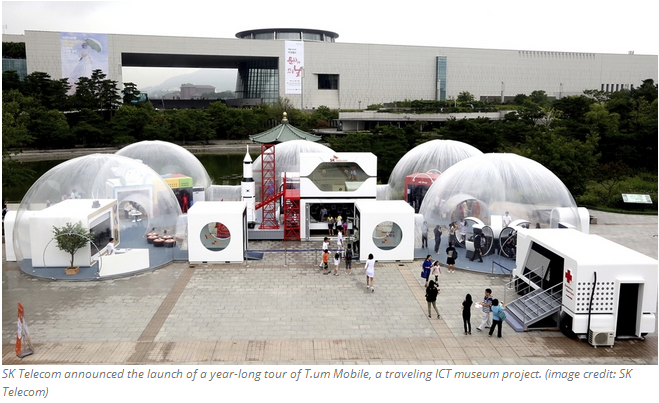 The news that SK Telecom has launched a year-long tour of its traveling ICT museum caught my eye today. 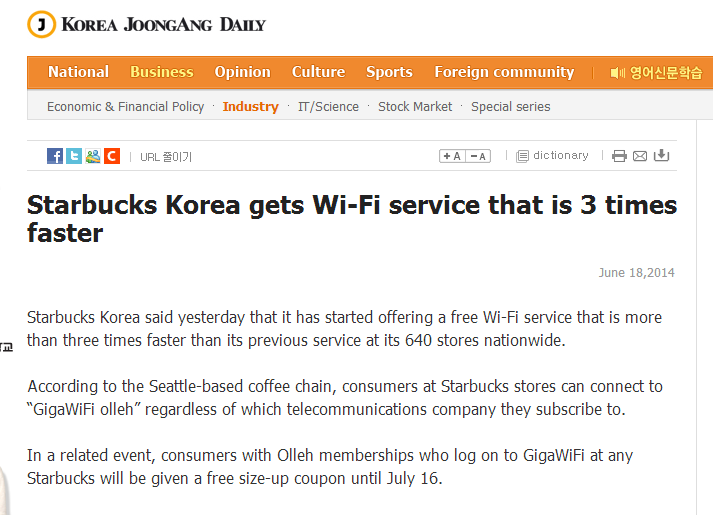 As reported by Korea Bizwire, the exhibit is a traveling version of T.um, SK Telecom's current ICT museum located at the company's headquarters in Euljiro, Seoul. (click on the accompanying graphic to see a full size version ) It has a goal of narrowing the educational opportunity gap between urban and rural regions, and rural stops will focus on schools and student groups. As noted in the Korea Bizwire article, "T.um Mobile’s content was developed to allow young people to easily grasp concepts by illustrating the past, present and future of Korea’s information and communications technologies in four different experiential sections. - “Past” Section: Features an orchestra of mobile devices released over the last 30 years that plays a symphonic musical piece using only the devices’ ring tones - “Present” Section: ICT in health care, smart robots, augmented reality shopping, and smart farm technology - “Future” Section: Using a 360 degree view Head Mount Display, visitors can experience a “future home” containing technologies such as 3D printers, holograms and ICT devices. Also features a 4D simulator of “life 10 years from now” - “Academic” Section: Features a software learning course, a program for healthier and more balanced use of smartphones, and afterschool courses such as basic principles of communications. During its year-long tour of the country, the traveling exhibit will visit 20 locations, including the 17th Asian Games in Incheon (Sept. 19-Oct. 4) and the 2014 ITU Plenipotentiary Conference in Busan (Oct. 20-23). 5G or next generation mobile broadband service is a hot topic in industry and government circles these days, despite the large technical and policy issues it presents. In January of this year, as noted in an earlier post, the Korean government declared its intention to be a world leader in 5G mobile communication. 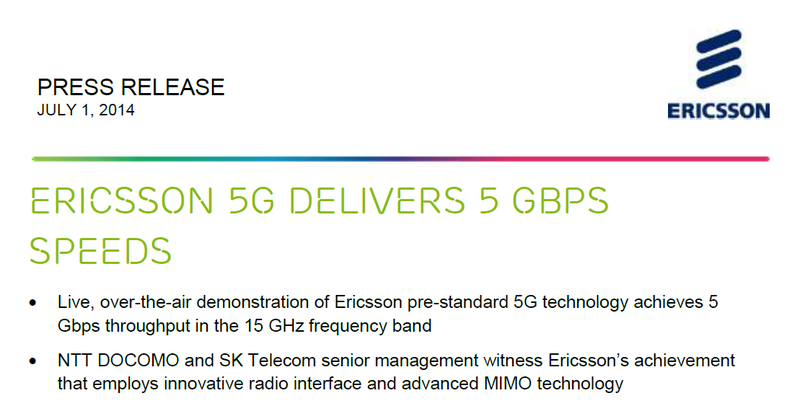 In June of this year, the Korean government signed a landmark agreement with the European Union to cooperate on the development and implementation of 5G and issued a joint declaration to that effect. 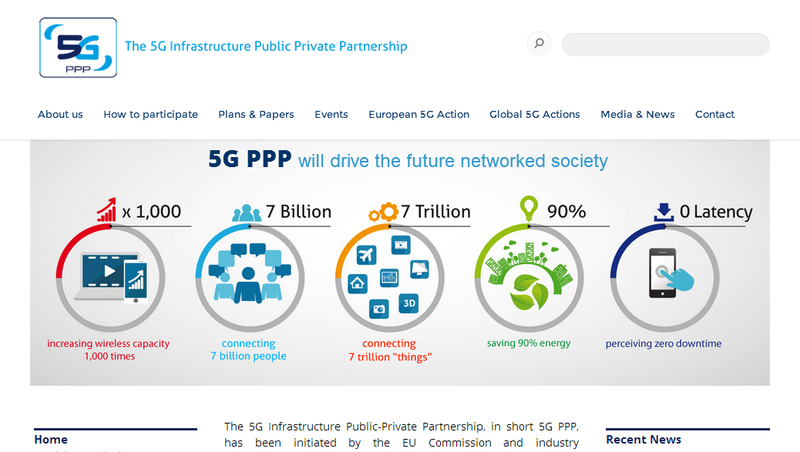 As shown in the accompanying graphic (click to see a full size version), the EU's 5G Infrastructure Association has adopted the theme "public private partnership," which also happens to be a hallmark of South Korea's ICT-led socioeconomic development beginning around 1980. I searched in vain for news of any similar agreement involving Korea and the United States, and found no rough equivalent of the Korea-EU agreement. Perhaps history is going to repeat itself, for lack of government leadership or the inability to forge a genuine public-private partnership in the U.S. I recently viewed former Vice President Al Gore's keynote speech to industry leaders at the 1994 Information Superhighway Summit in Los Angeles. Korea started its highly successful, decade long Korea Information Infrastructure program the following year, with government leadership but also active industry involvement and facilities-based competition. Over the same decade, relatively little was done to build a national fiber optic infrastructure in the U.S. It would seem that one of the reasons for this was the inability of government to lead and industry in the U.S. to actively collaborate in constructing an essential infrastructure for the 21st century. 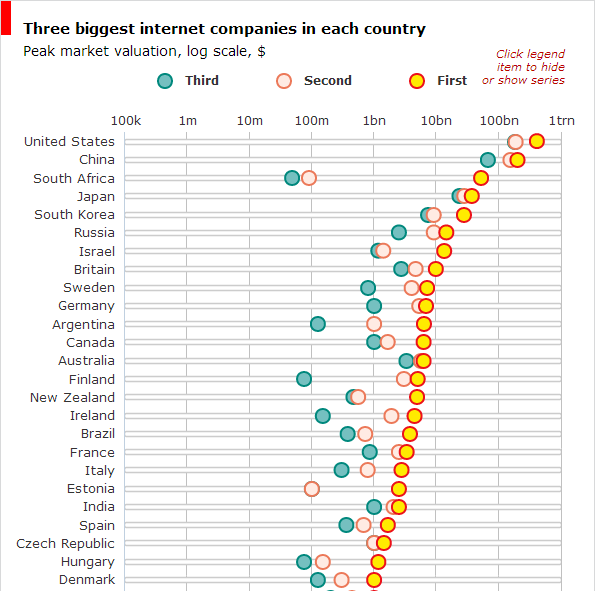 The Economist published a nice infographic recently that shows the top three internet companies in a number of countries, ranked by peak market valuation. (click on the graphic here to see the top part of the infographic, or click here to go directly to the full, interactive infographic) South Korea ranks fifth on the graphic, which is remarkable given the much larger population of three of the other four countries ahead of it. 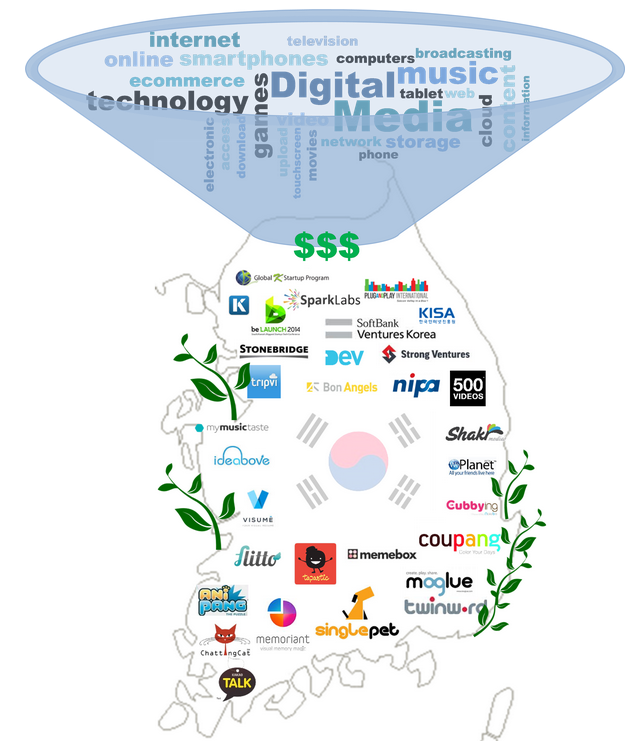 The three largest internet companies in Korea, in rank order, are Naver, Nexon and NCSoft. Naver, of course, is a Korean language "search" portal, while the other two companies specialize in online games. 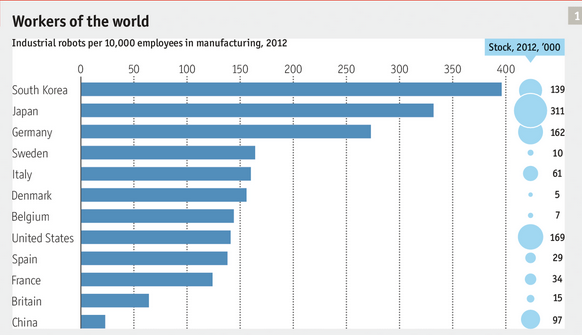 The data for The Economist infographic and article came from the World Startup Report, a not for profit organization. 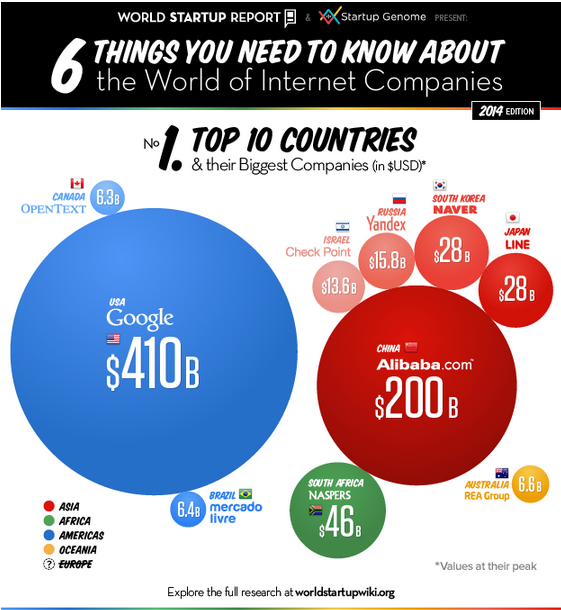 Another graphic published by that organization helps to put the size of Korea's internet companies in global context. (click on graphic to see a full size version) As noted by The Economist, Google is larger than the peak value of the companies in all other 48 countries combined. The Korea Joongang Daily today has an excellent short article by Bert Verschelde of The European Center for International Political Economy. He points out that, in the wake of Edward Snowden's NSA revelations, some governments around the world have moved toward regulatory restrictions on data, "such as data localization--the requirement that companies store and process data within the country in which they were collected." He further notes that "While calls for increased online data security are legitimate and warranted, recent customer information leaks in Korea’s financial sector show that restricting where data is stored is problematic. Storing data within the borders of one country is not only ineffective against foreign surveillance, data security experts say it increases the chance of data breaches and abuse. When data is mandatorily stored within borders, it creates a tempting “honeypot” for criminals to target." Furthermore, the article argues that forced local storage of data can have a harmful effect on the economy enforcing it. Simulations by his Center show that "...Korea’s economic growth would be severely stifled by an expanded, or economy-wide data localization measure. 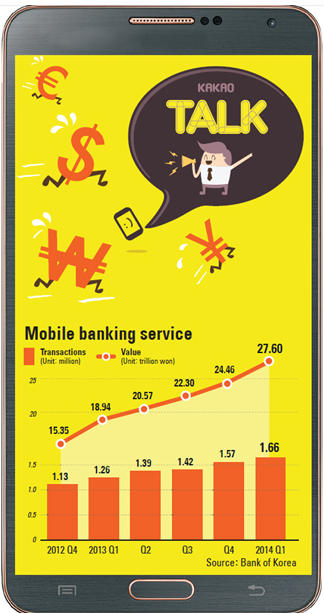 The impact of data localization across all sectors is estimated to be equivalent to 1.1 percent of Korea’s GDP in 2014. In real terms, this is equivalent to a loss of roughly $13 billion. In addition, investment in Korea would drop by 3.6 percent, causing its economy to pass up roughly $180 million in foreign direct investment." As reported in The Korea Joongang Daily, the leaders of China and Korea this week attended the largest business forum ever between the two countries. Not surprisingly, the ICT sector was a central focus of the discussions. The article quoted President Park Geun-Hye as follows: “The two countries’ economic cooperation should be shifted from the manufacturing industry to services, energy and other new industries. Joint efforts on global issues like energy, the environment and climate change should continue, too." The Chinese leaders comments included a remark that “With a long-tern perspective, we should establish China-Korea free trade zones. The two countries can build joint industrial zones to increase cooperation on new energy, materials, telecommunications and the environment.” Remarks by leaders of Samsung Electronics, LG, SK Telecom and other ICT sector firms were also prominent. An executive of Baidu commented that “The future of the Internet will become a common issue for the two countries.” Of course, questions about internet governance will be a prominent feature of the ITU Plenipotentiary conference hosted by Korea this fall in Busan. Reading the entire article, it seems apparent that China has taken careful note of Korea's ICT-led development in recent decades and wants to follow suit. A number of ICT sector companies, including Google, Softbank in Japan and European firms are moving into robotics. 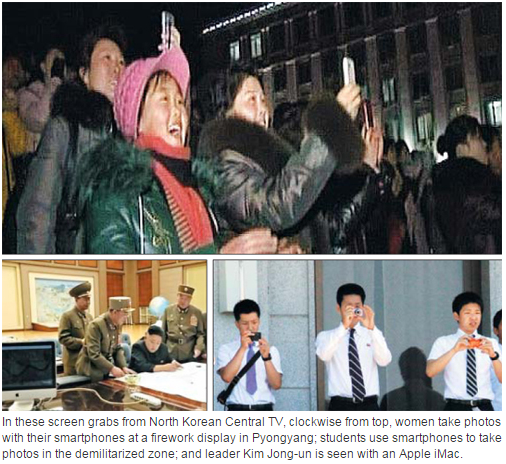 South Korea is also a leader in this race, as described in an report published by the Korea Joongang Daily. 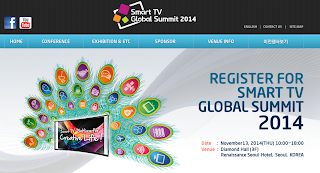 In many respects, this is a natural outgrowth of developments in digital broadband networks and consumer electronics. 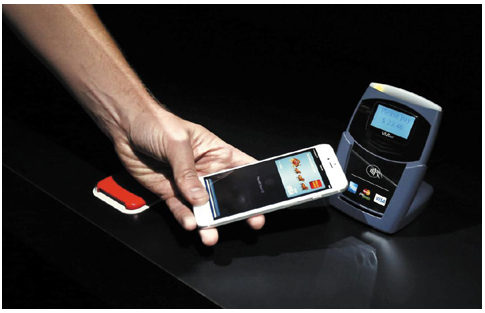 The new digital and highly mobile networks that are transforming life around the world are naturally connected to all kinds of sensors and the growing "Internet of things." Anyone who has accessed images from a webcam or surveillance video camera, used a small robot to clean floors in an apartment, or controlled a thermostat remotely via their smart phone, can easily imagine the convenience and value of controlling an intelligent robot from a distance. For Korea the move toward networked and service robots it is also a response to the overall demographic trend toward an older society. As shown in the accompanying graphic (click to see a full-size version), the greatest growth in the robotics industry here over the past several years is for personal service robots, in anticipation of a large market in the provision of personal services for elderly individuals. 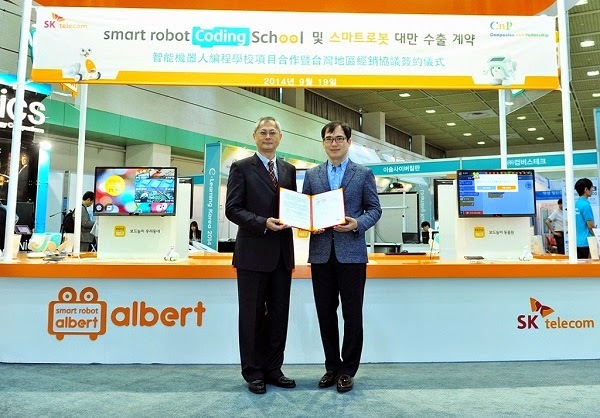 The article provides a nice overview of some current developments in the robotics industry here and gives a sense of where South Korea fits in the global picture. 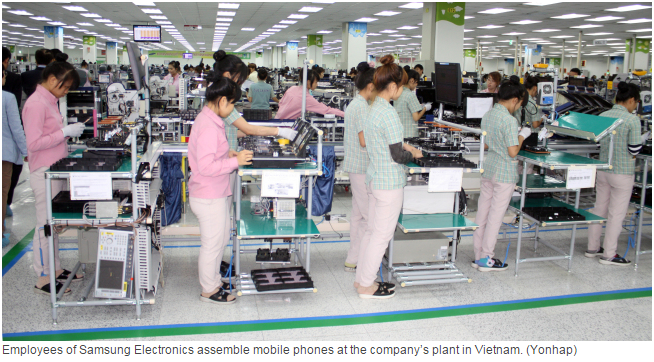 As reported today in The Chosun Ilbo, Korea's domestic market accounts for only about 10 percent of the income earned by Samsung Electronics in 2013, according to the company's most recent sustainability (annual) report. That marked a 22 percent decline from a year earlier and a company spokesperson said the decline was due in part to a saturated smartphone market in Korea. 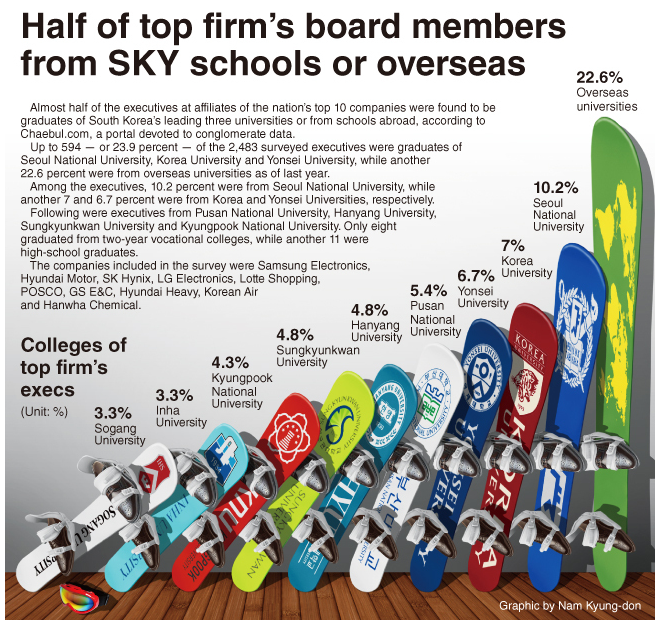 The report also indicated that Samsung Electronics has twice as many employees overseas as in Korea. 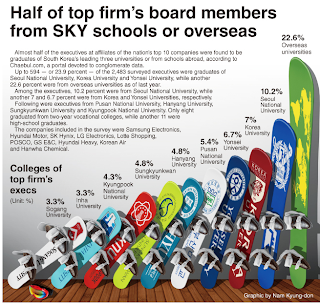 According to The Chosun Ilbo report, "In 2011, Samsung had 119,753 employees on its overseas payroll and 101,973 in Korea. But in 2013, there were 190,486 overseas compared to 95,798 here." 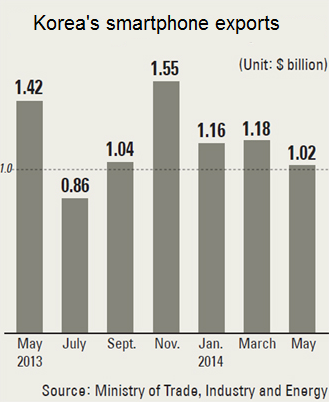 Korea's exports of smartphones decreased in May as its leading manufacturers continued to shift their production overseas. 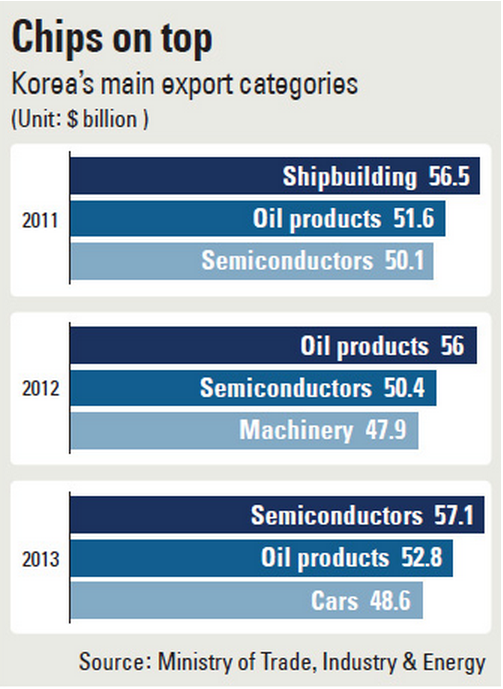 (click on the accompanying graphic to see a full size version) As reported by The Joongang Daily, two government ministries reported that "Korean smartphone manufacturers'expansion of their overseas production lines in China and Vietnam is negatively affecting the nation's ICT exports and contributing to reduced exports of completed smartphones. 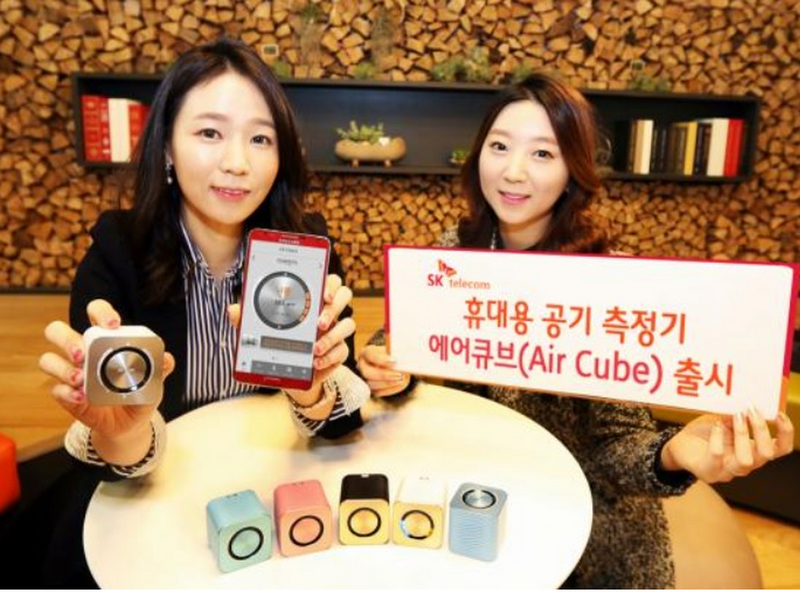 The Ministry of Trade, Industry and Energy and the Ministry of Science, ICT and Future Planning announced that Korea’s ICT exports recorded $14 billion in May, down 7.5 percent compared to the same period last year." 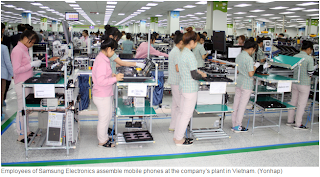 Furthermore, a study released by the Korean Import-Export Bank late last month indicated that Samsung aimed to produce about 80 percent of its smartphones in Vietnam. Interesting article in The Korea Times about Samsung competing for leadership in holography as the next generation display technology. 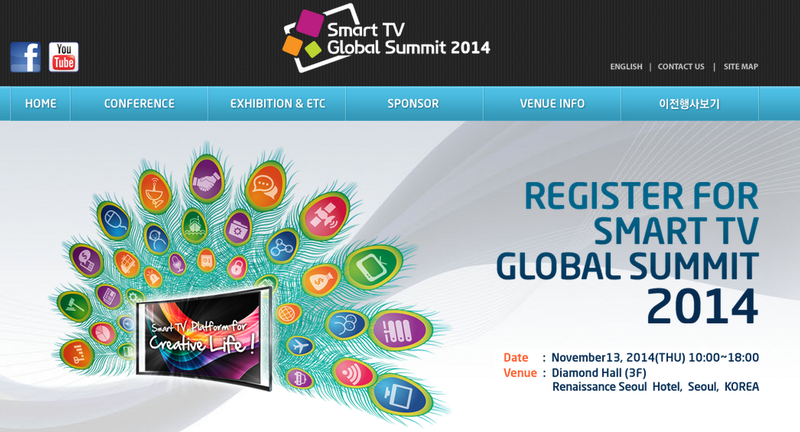 I'm sure not only Samsung, but the other Korean companies in the display industry are interested in holography. A few years ago, this idea would have appealed only to science fiction fans, but it now appears to be approaching reality. 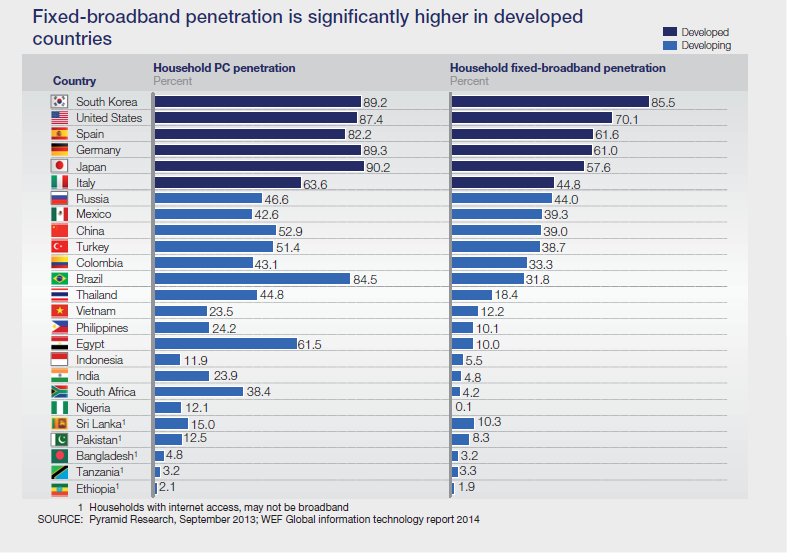 Furthermore, it is just one of the many reasons that bandwidth (a.k.a. speed) counts! 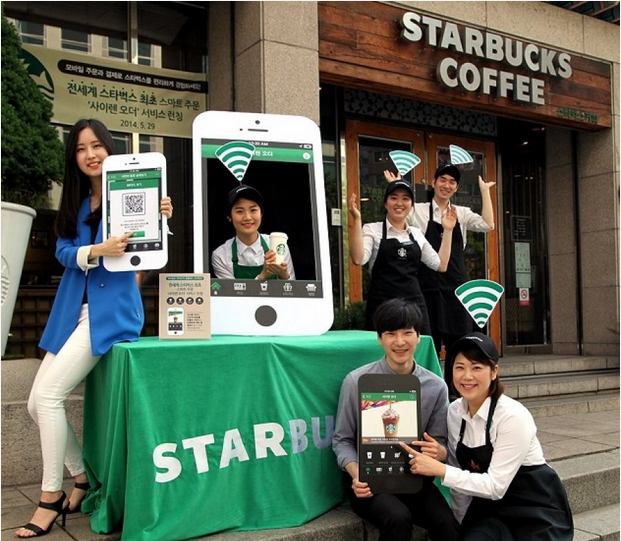 I was thinking this morning about the rapid global spread of connected, smart devices and the dominant role of Korea's large chaebol groups in the manufacture of those devices. Two graphics tell an important part of the story. 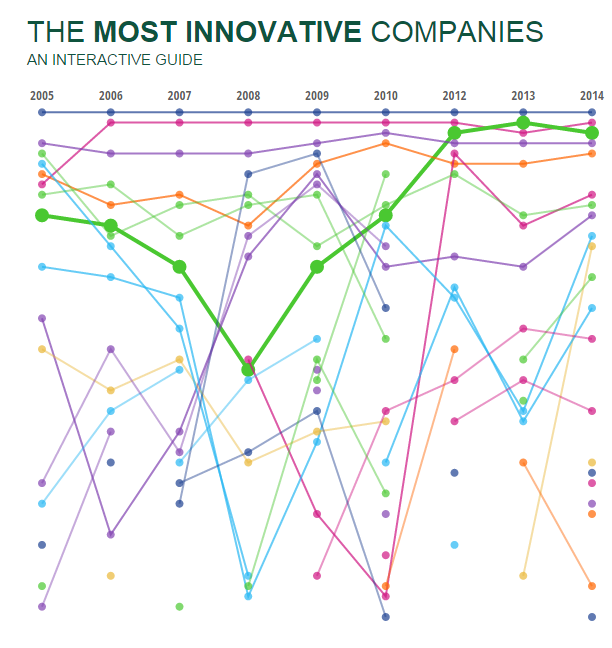 The first is a graphic from statista, based on data from IDC. 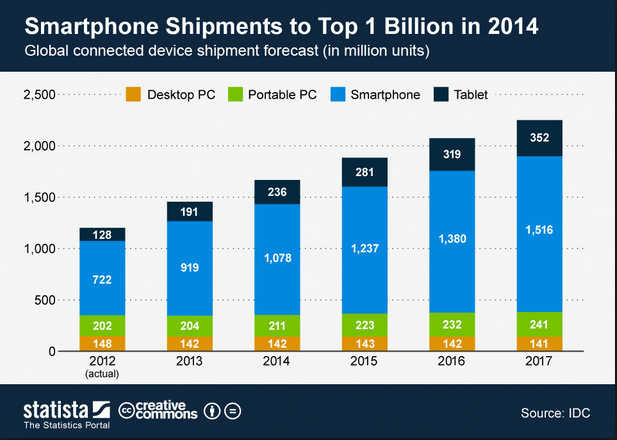 It shows clearly that shipments of smartphones and tablets are projected to dominate the global market, while those for desktop PCs (do you still use one?) are set to decline and portable PCs (notebooks/laptops) will only slightly increase. 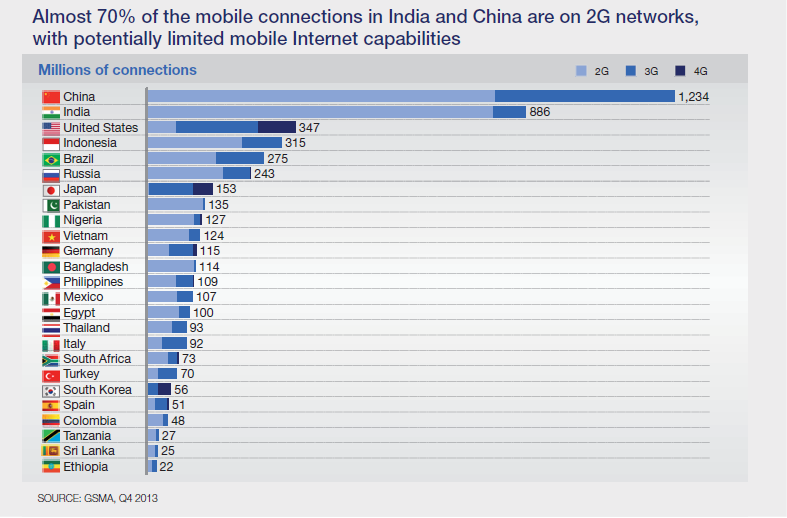 In a nutshell, this projection suggests that, all other things equal, people prefer a mobile device. 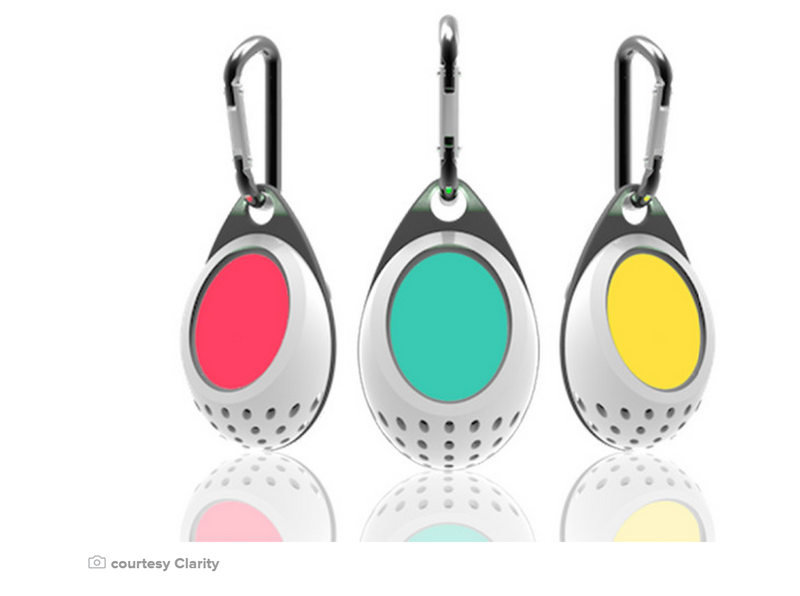 Even in the office or at home, a device without all those cords and wires to connect is more convenient to use. Since I live in Korea, it is only appropriate to note that the boundary between smart phones and tablets is blurring with the release of increasingly large, high resolution phones that are preferred by a distinct market segment. 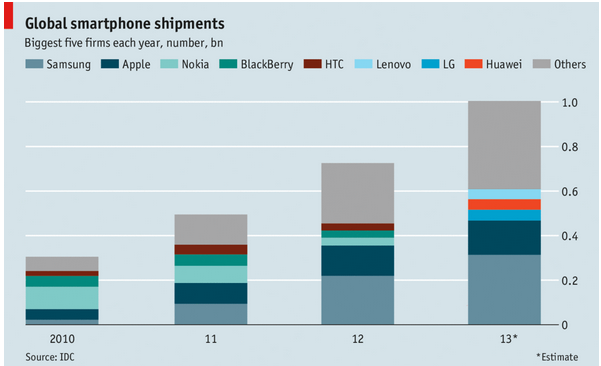 The second graphic, published by The Economist, shows how quickly Samsung, followed by Apple, came to dominate the global market for smartphones in just four years, starting in 2010. Keep in mind that Samsung did not really enter the smartphone market until that year, having left the global smartphone market pretty much to Apple until the end of 2009, two and a half years after its introduction of the revolutionary i-Phone. There is much more to this story, but I am reminded that there is also value in short blog posts! 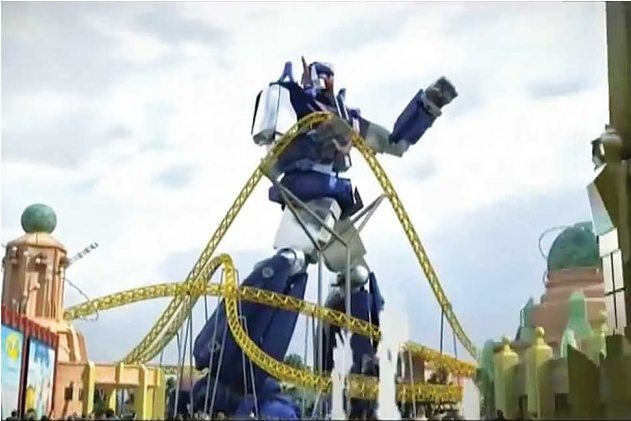 Suffice it to say that the landscape (or ecosystem) of our hyper connected world continues to change at a rapid rate.